This Yenn Wong and Jason Atherton establishment has seen success since day one. Grab a seat by the open front and indulge in fancied-up tapas like ham and manchego truffle toasties, scallop ceviche and baked bone marrow. Remember to save room for the just-as-tasty desserts like the peanut butter, banana and condensed milk trio. G/F, 22 Ship Street, Wan Chai, 2555-0722. There are two locations of this bright, fun and utterly delicious tapas joint, but we’re pretty partial to the Wan Chai outlet (mainly because it’s easy to get to!). There are plenty of tapas, yes, but you can also expect to enjoy all the Spanish trimmings — think sangria and paella — all accompanied by colorful decor, a cheeky menu, and fun staff. 114 Lockhart Road, Wan Chai, 2832-9222. Looking like a transplant from Seville, this second Jason Atherton-Yenn Wong tapas spot is a touch of Spanish tradition in the heart of Wan Chai. Blue and white tiles adorn the walls, while the menu offers a wide range of tapas, an ever-changing specials board, and even a solid weekend brunch. As for the sherry — there are more than 50 varieties to choose from. 1-7 Ship Street, Wan Chai, 2555-0628. 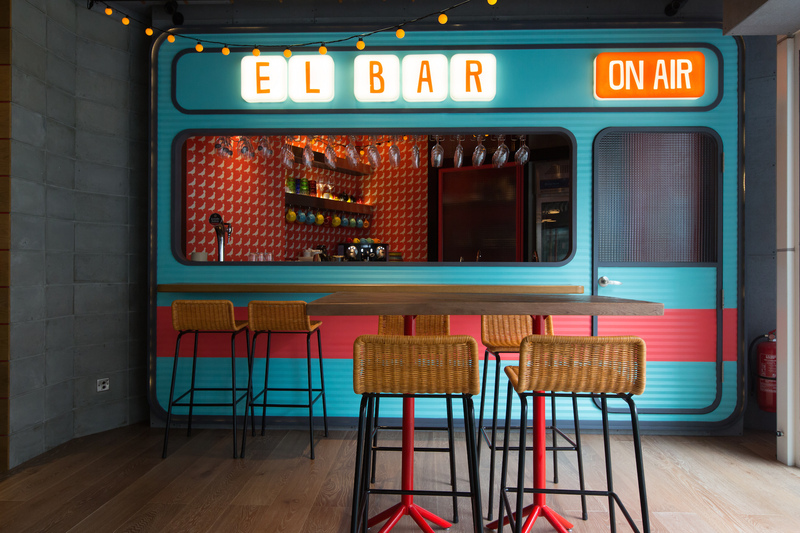 Another Spanish venture from chef Willy Trullas Moreno, new-to-town La Paloma has brought Barcelona’s chiringuito beach bar vibes to Sai Ying Pun. The colorful and creative setting sticks with the theme — La Paloma means “pigeon”— and there’s an outdoor terrace that’s perfect for autumn nights out. The menu mixes creative spins on traditional dishes as well as age-old favorites. If you’re with a big group, order the paella or suckling pig for sharing. Then round it out with some small bites like the smoked salmon pastries, bacon cheese baguettes and, naturally, a pitcher of sangria. It’s right by the MTR, so no excuses. 1/F, Soho 189, 183 Queen’s Road West, 2291-6161. Tapas with a side of great wine? Count us in! This SoHo joint dishes up mouthwatering sharing plates and boasts a wine list that’s 90% Spanish. Olé! It’s got a great position right by the escalators, and its open doors bring a touch of the alfresco experience indoors. They also do a great set lunch and happy hour, and if you’re hungry, hunker down with some paella. 18 Shelley Street, Central, 2752-8811. If you like your tapas with a touch of zen, look no further than OM Tapas in Tsim Sha Tsui. This yogi-inspired tapas joint benefitted from consulting with a number of Michelin-starred restaurants in Spain, so you know the food’s top-notch. 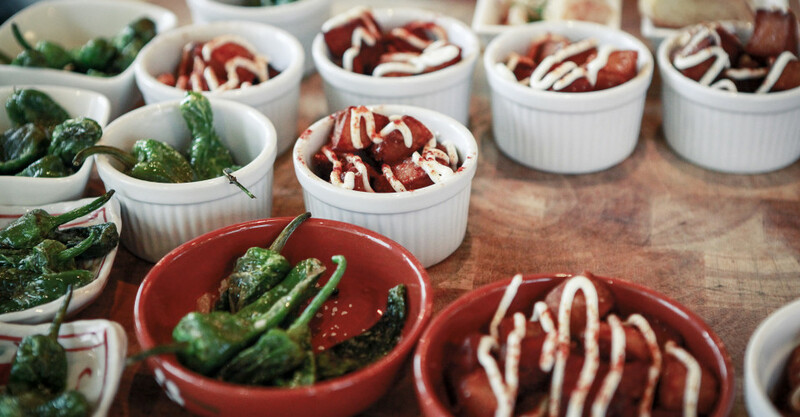 The focus is squarely on Andalausian tapas, from the same part of Southern Spain where tapas originated.